The Clarabridge Customer Connections (C3) conference has gotten to be a thing for me. There can’t be more than a handful of people, beyond company co-founder and CEO Sid Banerjee and me, who have attended all six C3s, dating back to the fall of 2008. Clarabridge’s journey hasn’t been completely linear, however. 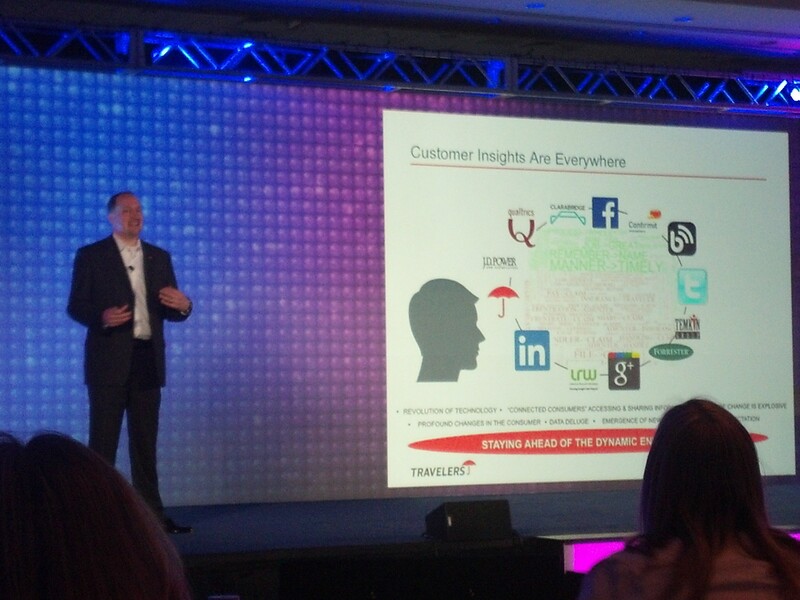 C3’s big theme for 2013 was Intelligent Customer Experience. A year ago, Sid said, “ICE is really about integrating all the content, from all the sources, and applying intelligence to the multichannel content.” This year? No mention of Intelligent Customer Experience at C3, and the term is hidden away in nooks on the company’s Web site. I infer that while analytical intelligence — the ability to discover relevant insights in data — is necessary, it’s not a market differentiator. Indeed, in a briefing for analysts, Sid talked about two types of CEM company, those with text analytics, and those that are seeking to add the technology to their portfolios. My take-away is that Clarabridge is competing on factors other than tool intelligence. The differentiators I see, and hear about from users, include ease-of-use, business-function and industry adaptation, and the ability to serve as a data hub via easy import of data from survey and social analytics tools. Yet Clarabridge’s evolution, accelerated by the Market Metrix acquisition, puts Clarabridge on a competitive collision course with partners that include Confirmit and Verint. And sometimes those partners’ own steps put them in competition with Clarabridge, for instance, Verint, with its January 2014 acquisition of Kana, and the ever-tightening integration of social-intelligence platform Radian6 into Salesforce Marketing Cloud. Yet there are always new, complementary partners to develop, notably social-intelligence vendor Sysomos and speech-analysis provider Voci Technologies. The Voci partnership, by the way, will surely further test the Clarabridge-Verint partnership. The Sysomos link-up should last longer, so long as the companies operate in different spheres, noting that like Clarabridge, Sysomos has its own, robust natural-language processing technology. These partnerships are most often about data. A given customer will license software and services from multiple providers, and each system — each “touchpoint” or “channel” — generates data. In an “omni-channel” world, technology overlap is tolerable when the customers demand that their providers play nice (the Confirmit case), or the providers don’t (yet) compete (Clarabridge and Sysomos and also OpinionLab). Other Clarabridge customer, partner, and analyst presentations provided quite interesting, complementary industry insights. On the best practices side, Jeff Mango talked about looking to Voice of the Customer data collection and analysis to surface problems, and Voice of the Employee for answers. Makes sense. Human judgment rules, even in the big data era, and human employees will understand customers in ways that machines can’t. Jeff also talked about the omni-channel challenge, the desire to know and link everything said everywhere. At Verizon, “we look at the right data sources at the right time, because we have 50.” You can’t do it all, all the time. But my favorite thought of Jeff’s was his linking customer business value and emotion. The business value of sentiment, opinion, and emotion has been a focus of my work for several years now. 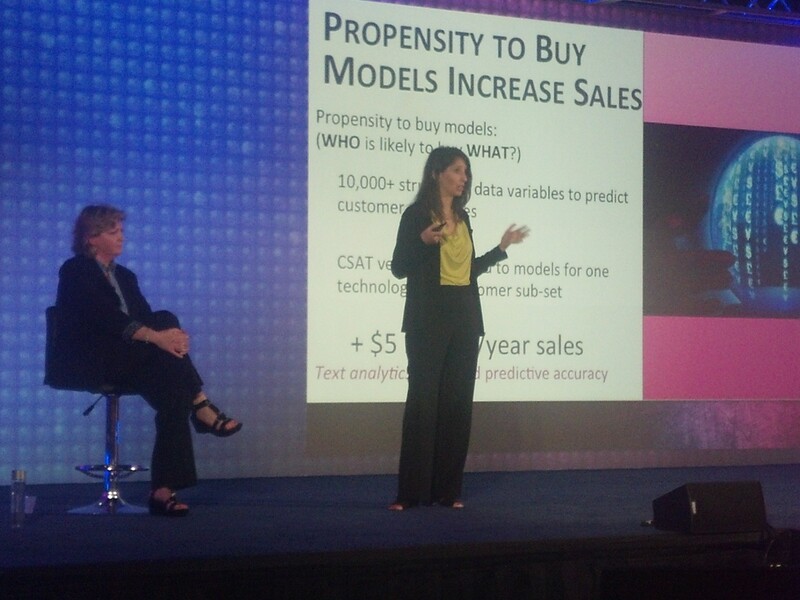 Another affirmation, for my 12 years in text analytics, was hearing Liz Spencer and Elizabeth Rector of Cisco describe how bringing results from customer satisfaction text analyses into their propensity-to-buy models led to a $5 million yearly sales gain, from that one, focused effort. C3 did feature several partner presentations, from solution-provider partners and also from professional-service partners. It’s notable that the roster of Clarabridge service partners has expanded. Accenture has been on board for a few years, more recently joined by Acumen Solutions — information management lead Dave Marko is a Clarabridge alumnus; check out his 2013 C3 report — and this year, the W2O Group. W2O’s Paul Dyer gave an interesting C3 presentation on Social Voice of the Customer. Dyer talked about a “complex ecosystem” of listening, filtering, and analysis solutions, built on tiers of data sources and suppliers, the latter including Gnip, DataSift, and Topsy. He offered the view that “software-enabled people” provide the best enterprise response to marketing challenges, and he described the emergence of “social intelligence supply chains” that harness analytics for business operations, via applications deployed ad-hoc and in command centers, to support customer engagement. Finally, I always enjoy hearing customer-experience expert Bruce Temkin, who keynoted at C3 for perhaps the third time. This year’s talk was on “people-centric experience design,” which he characterizes as “fostering an environment that creates positive, memorable human encounter.” This design approach builds on purpose, empathy, and memories. 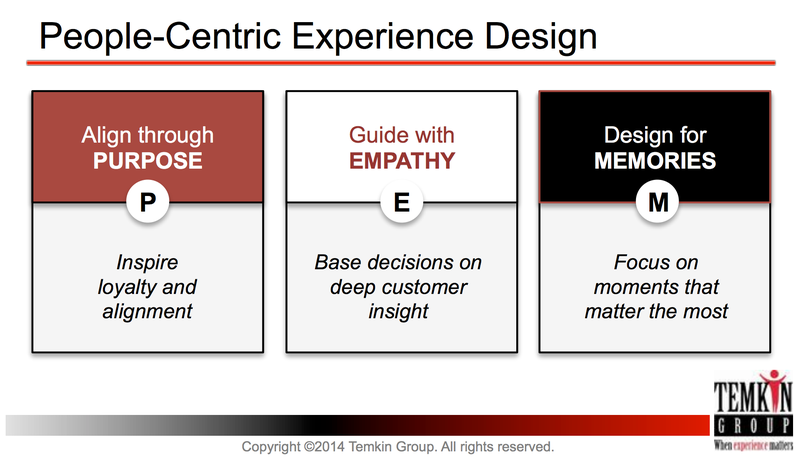 While empathy in action, in corporate settings, boils down to ability to based decisions on deep customer insights — that is, the product of analytics — Bruce makes a key point that, in effect, it’s personal, the ability of customer-experience designers to see products and services from the customers’ point of view, as customers would experience them. The implication, of course, is that applications powered by the Clarabridge Intelligence Platform, coupled with Clarabridge Social Intelligence, will help corporations get there, to uniformly positive customer interactions, through intentional, designed customer experience. The addition of engagement capabilities to the Clarabridge product portfolio, as showcased at this year’s C3 conference, is a significant advance toward that goal. Disclosure: Clarabridge waived my C3 registration fee, but I did not ask the company to pay my travel expenses. Clarabridge paid me for a contributed blog article, Sentiment Analysis and Business Sense.